Cheers! How about a Paw Paw Colada? Listen to Coxen talk about the Paw Paw Colada challenge and how you can submit a challenge as well. Michigan Radio’s Stateside colleagues April Van Buren and Mercedes Mejia challenged the Cheers! team to make a pina colada using paw paw. The Cheers! drink expert, Tammy Coxen of Tammy’s Tastings, loved the idea. 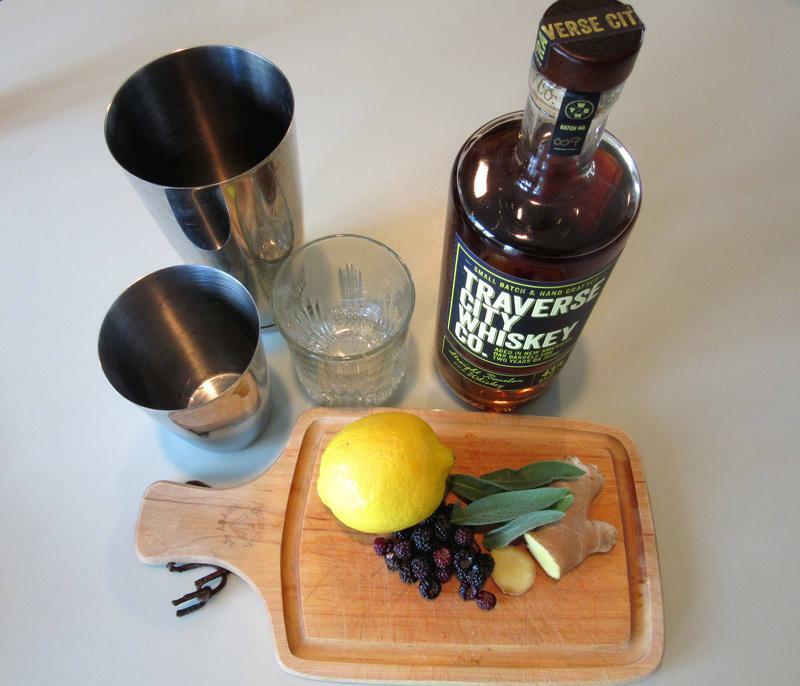 Listen to Robyn Cleveland and Tammy Coxen talk about Norden Aquavit. The Cheers! team met at the Alley Bar in Ann Arbor to taste a cocktail made with a new Michigan-made spirit. It’s a fairly new spirit to the U.S., but Tammy Coxen of Tammy’s Tastings noted we have played with this spirit before. Listen as the drink is being mixed! Cheers! 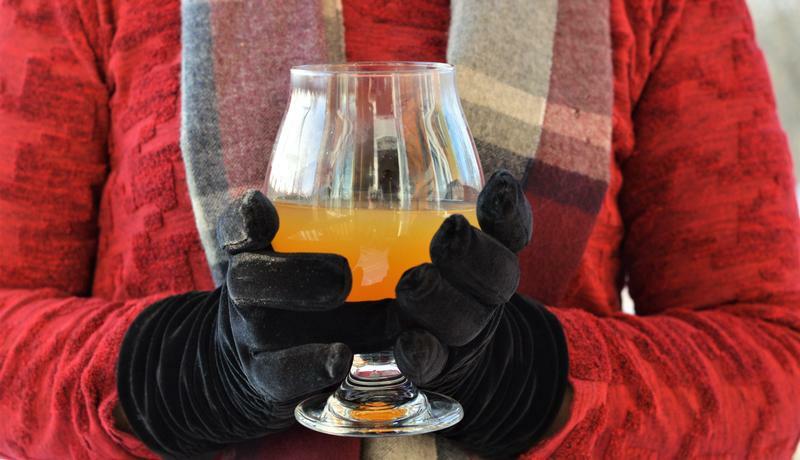 We've got a honey of a Michigan cocktail for you. But we’re taking the Vikings to Mexico. 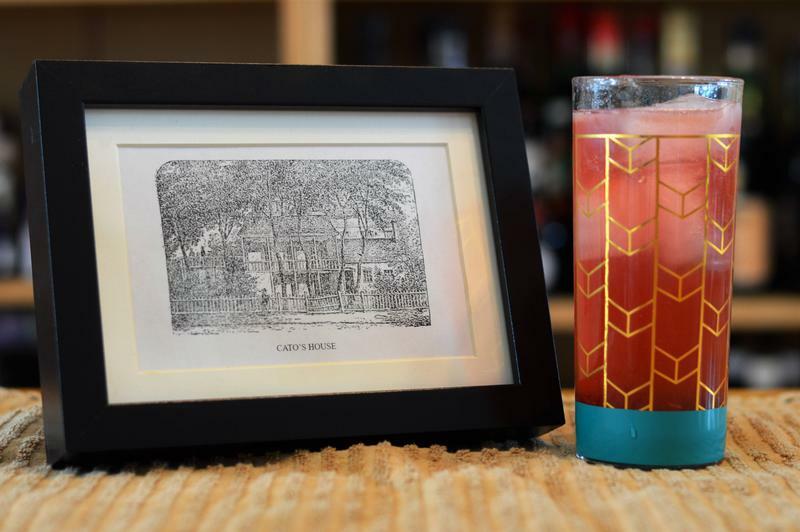 Listen to Tammy Coxen tell the story of Detroit's most famous drink. It is the most famous drink to ever come out of Detroit. It is known worldwide as the hummer. “This was created by a bartender at the Bayview Yacht Club named Jerome Adams in 1968,” explained Tammy Coxen of Tammy’s Tastings. Adams had recently gotten a job as a bartender at the Detroit yacht club. 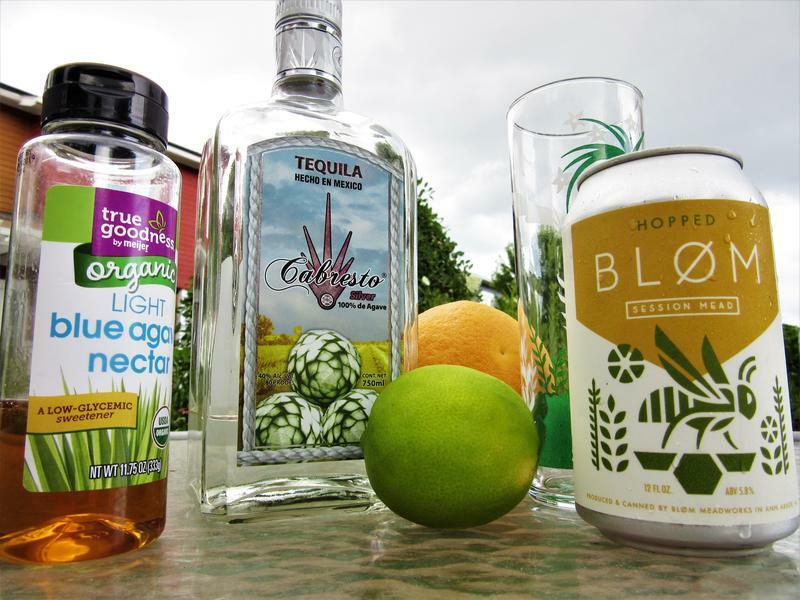 He wanted to come up with a drink that would impress his colleagues and impress his customers, Coxen said. 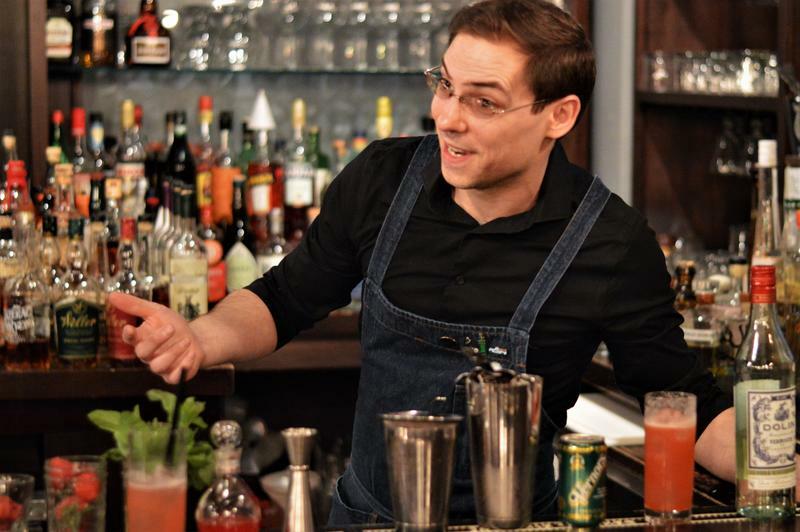 Listen to award-winning mixologist Casey Miller about his cocktail, the Kibby Cobb. “This cocktail I call the Kibby Cobb. It’s named after a little region of Jackson, Michigan where we would always go back in the summer,” Miller said. While his family was from Michigan, Miller grew up in Tokyo. He says the cocktail includes ingredients that make him think of summers and springs in Michigan. 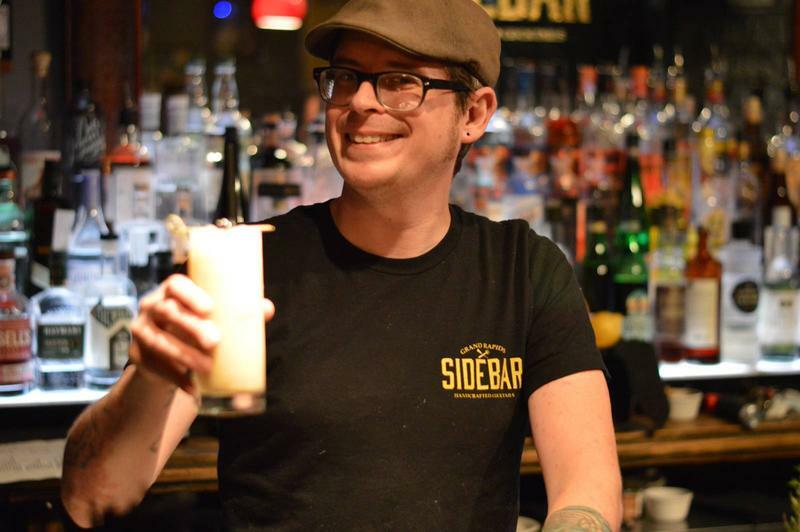 You don’t have to have a password, or pull a secret lever, or push a button for entry, but the Sidebar in Grand Rapids definitely has that speakeasy feel. The address is available: 80 Ottawa Avenue NW, but finding it is a little tricky. Hint: go down the steps toward the pizza place. 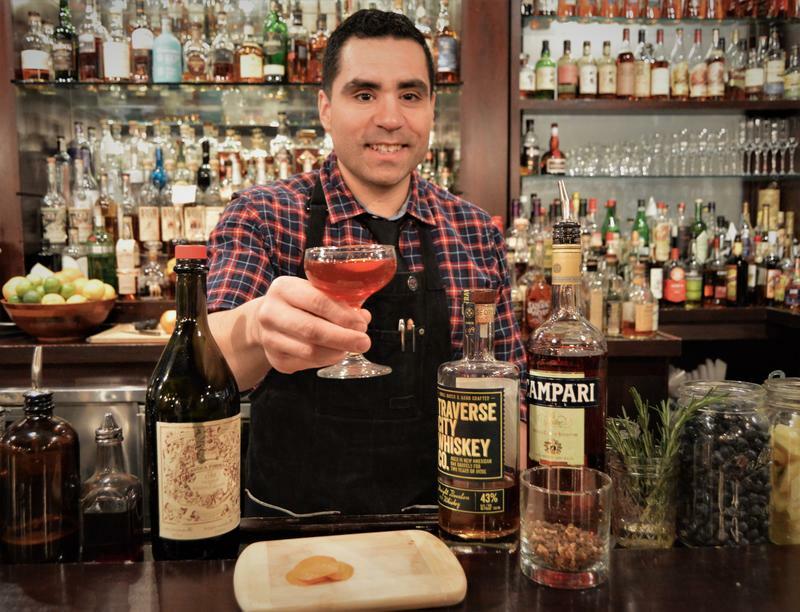 Listen to Tammy Coxen and The Last Word's Giancarlo Aversa talk about "Mulling Around Town" and what inspired the cocktail. “It’s like Christmas in a glass,” said Tammy Coxen with Tammy’s Tastings. She’s talking about a cocktail invented by the principle bartender at The Last Word craft cocktail bar in Ann Arbor, Giancarlo Aversa. The Cheers! team, Tammy Coxen of Tammy’s Tastings and Lester Graham, found a distiller serving up a cocktail with a spirit made with all Michigan ingredients. Tammy and Lester mixing and tasting the La Manzana. It’s fall. Tammy Coxen of Tammy’s Tastings has been thinking about apples – heirloom apples. “We have tons of different kinds of apples in the store, right? But, there were hundreds and hundreds more than that that have been grown over the years," Coxen said. That's partly because today, apples are shipped far and wide, and not all heirlooms hold up. 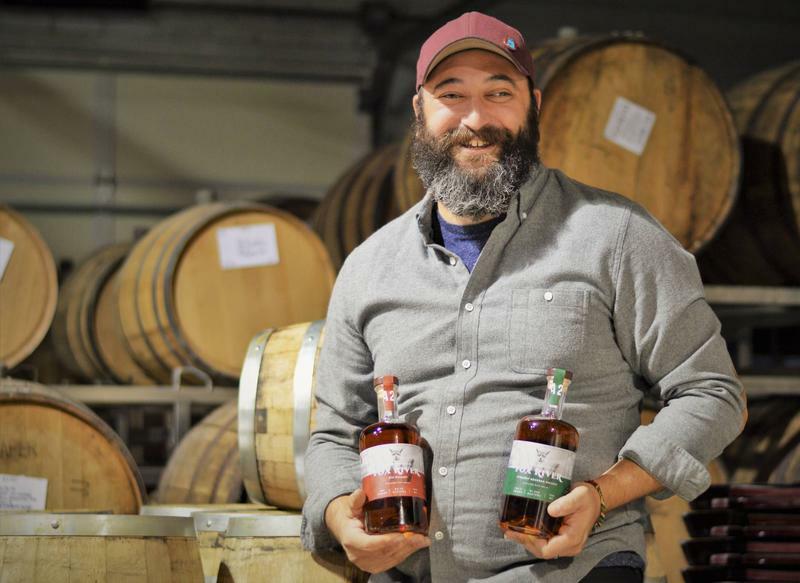 Ann Arbor Distilling is releasing its second round of whiskeys, a bourbon and a rye under a new brand, Fox River. The small batches (700 bottles of rye, 1200 bottles of bourbon) are both high proof whiskeys. The rye is 105 proof. The bourbon comes in at 102.5 proof. “We found that a little bit higher than that was too hot and a little bit lower was sort of flabby and the flavors didn’t come through quite as well,” explained Product Developer and Brand Ambassador Phil Attee. Listen to Nic explain his drink to Tammy and Lester. It’s hard to find. The address is 80 Ottawa Avenue NW in Grand Rapids. But unless someone has told you about it, you probably would never realize that once you take those concrete steps down from the sidewalk, enter a door into an entryway, turn your back to the pizza place, and enter yet another door, you’ve arrived. This is SideBar. It’s a tiny 18 seat bar where people who love craft cocktails gather. Muddle ginger well (if using), then add fruit and herbs and muddle again. Combine remaining ingredients in shaker with ice. Shake, strain into ice filled old-fashioned glass. Listen as Cheers! samples Brewery Vivant's offerings and talks about the brewery's Belgian and French influences. For more than a year-and-a-half, Tammy Coxen with Tammy's Tastings and Lester Graham have been bringing you the Cheers! segment on Stateside. Every other week Cheers! tells you about a craft cocktail or about Michigan-made spirits and products. Sometimes we visit a craft cocktail bar or a distillery. 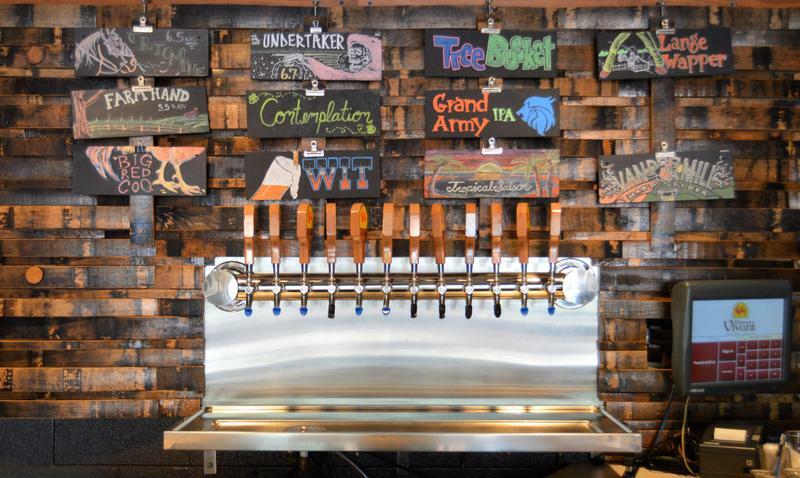 The team was recently in Grand Rapids, also known as "Beer City." And so of course Cheers! had to visit the series’ first brewery for a report. Take a listen! The Cheers! team visited the Grove restaurant in Grand Rapids to learn about an old cocktail the restaurant is taking one step farther.. This week, Cheers! is out of the studio and on the road. 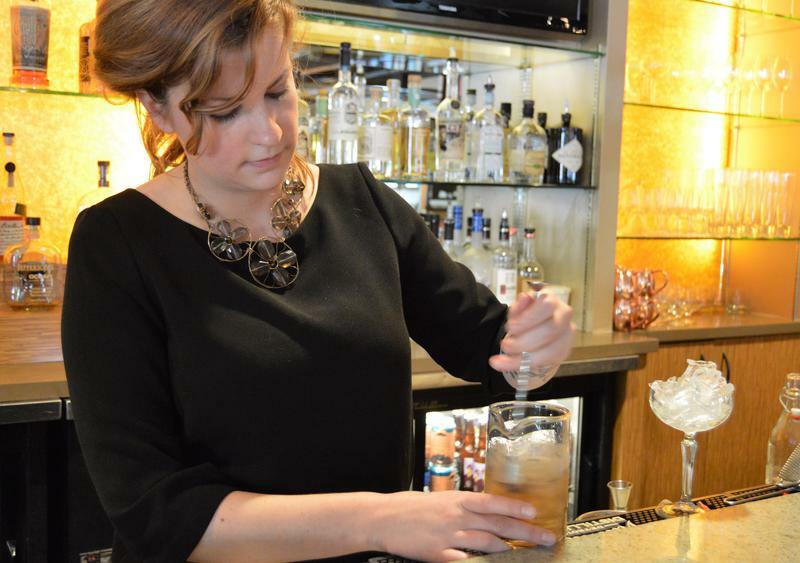 We visited Reserve Wine & Food to learn about a new addition to its cocktail menu. Rob Hanks named it the “Lovers’ Quarrel” because he and fellow bartender Megan Knapp had a spat about whether to add a vodka cocktail. Some bartenders are not fond of vodka because it brings no flavor to the drink, just alcohol. Listen to the reaction to this drink. The Bullshot just might be the most popular drink to ever come out of Detroit. In the 1950s, it was even more popular than the Last Word from the Detroit Athletic Club or the Hummer from the Bayview Yacht Club. Saturday is the Kentucky Derby. There’s a traditional drink for the “run for the roses.” It’s the mint julep. But finding a well-made mint julep is difficult. So, you should make it yourself. Even at the Derby, it's hard to find a really good mint julep. 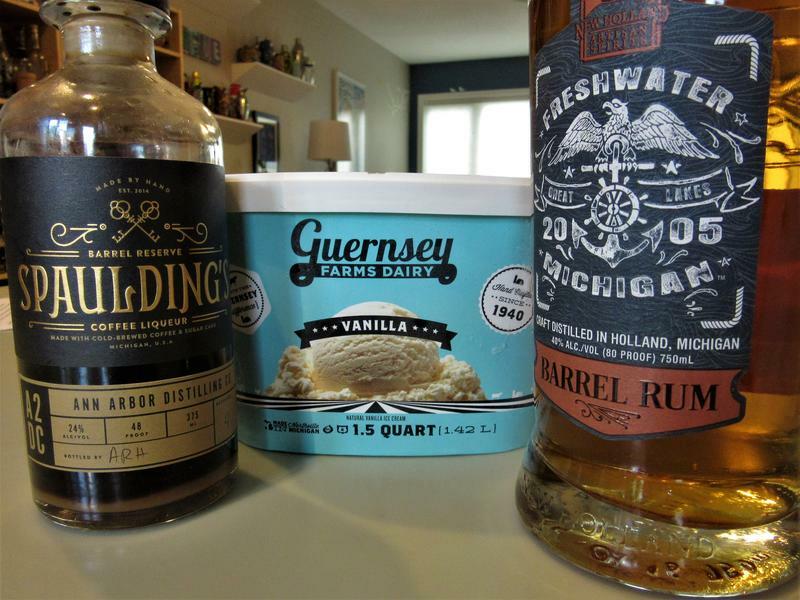 Constantly in search of new Michigan products for cocktails, Tammy Coxen of Tammy’s Tastings found a liquor that was new to her. It’s actually been out for a couple of years. It’s Coppercraft Distillery’s Applejack. Coppercraft is in Holland and has been around since 2012. The cocktail she decided to mix is the Jack Rose. It’s a classic cocktail which was really popular in the 1920s and 30s. 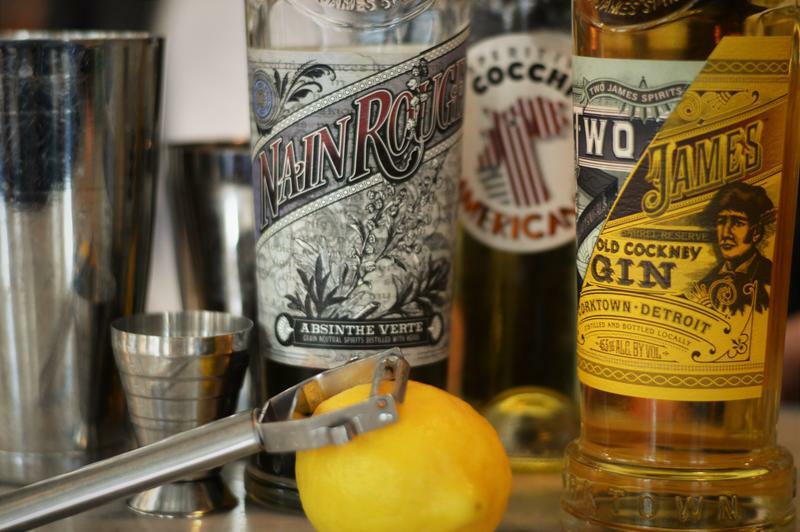 “While other cocktails from that period such as the Martini or the Manhattan have come roaring back, the Jack Rose is still a little bit of an underdog,” Coxen said. The Cheers! 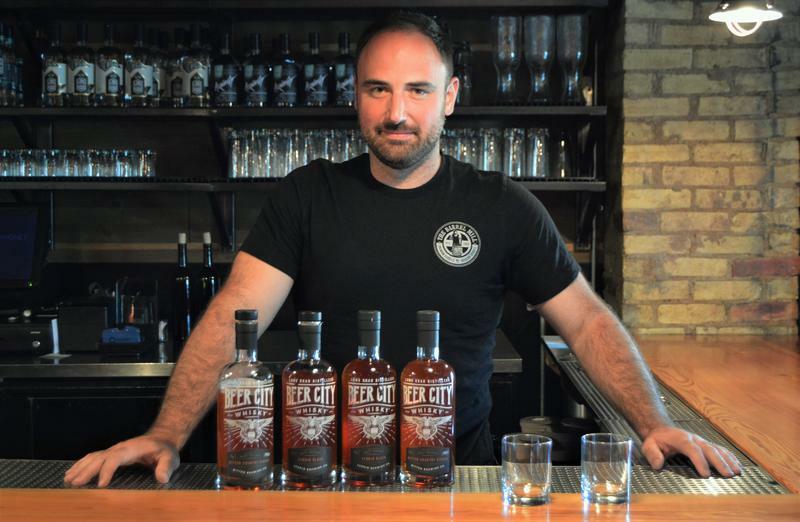 crew is always looking for new Michigan products for cocktails and other drinks. Tammy Coxen with Tammy’s Tastings hunts high and low. “This is one of the most unique products I’ve come across recently,” she said. 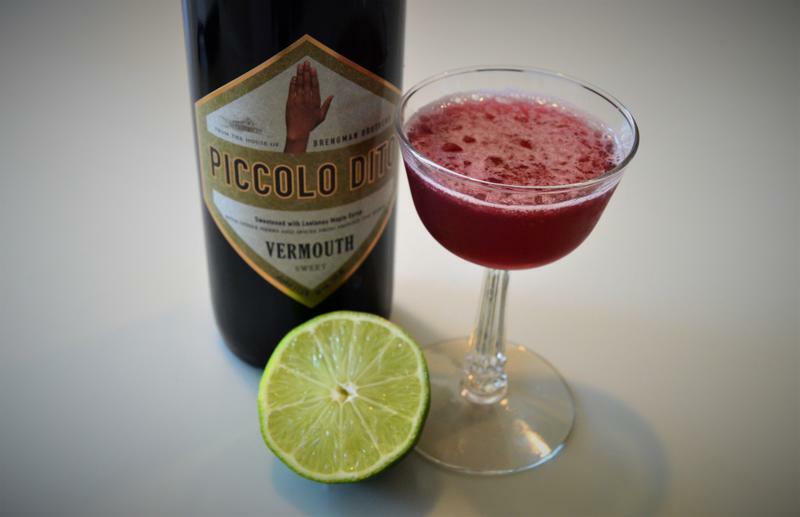 “It’s a Michigan-made sweet vermouth,” she explained, holding up the Brengman Brothers Piccolo Dito Vermouth. Brengman Brothers is based at the Crain Hill Vineyard near Traverse City. It's nearly spring, and the sap is running. 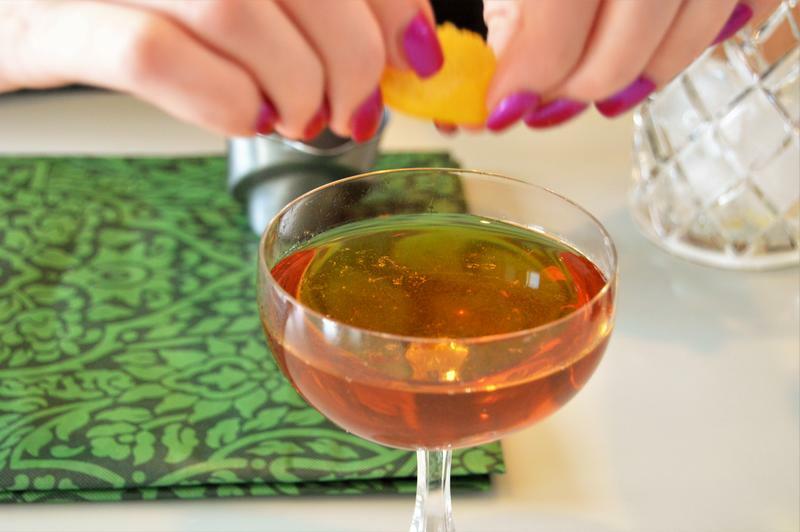 Maple syrup makes a good choice for a sweetener in our pick for a cocktail. 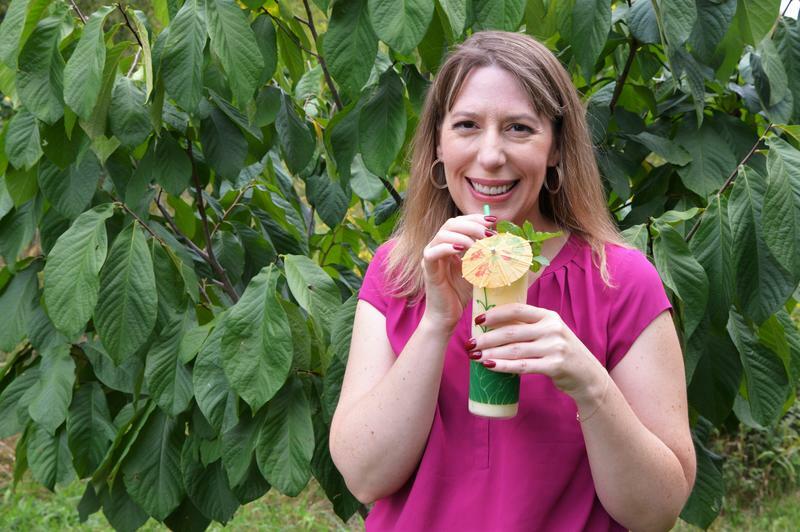 “This is just a little whiskey sour variation,” Tammy Coxen of Tammy’s Tastings explained. “When I was a kid we would go every year as part of a school trip and I remember loving to see the maple syrup boiling down,” Coxen said, adding, “It’s a really great memory for me and I love maple syrup because of it. Detroit is known worldwide for its cars, for its music, and now for its vodka. The top prize for vodka at the World Drinks Awards in London last year did not go to a Russian vodka. It went to a Detroit vodka. This cheeky promotional video suggests it was a sad day for Russia. In honor of Black History Month, we visited with Amas Muhammad at Selden Standard in Detroit. 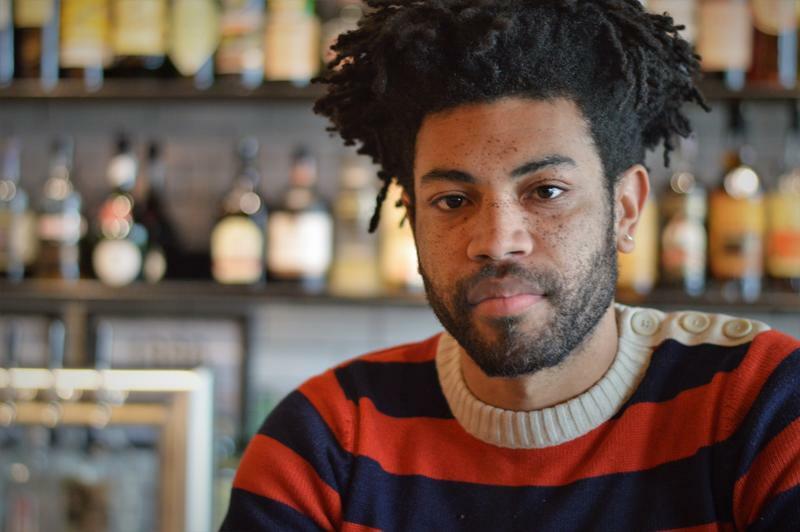 He has a drink recipe for us below, but we wanted to know more about the role of people of color in developing the craft cocktail industry. 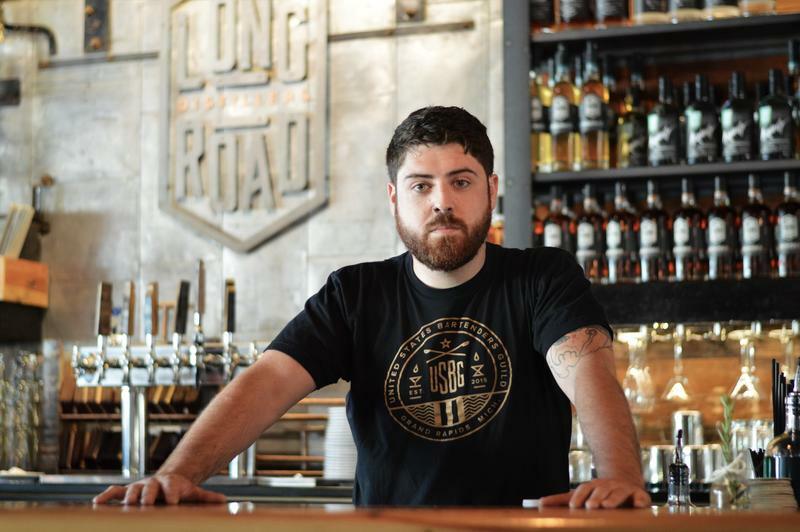 Muhammad says for a craft that’s obsessed with the history of drinks and the bartenders who invented them, his colleagues miss a huge swath of contributors. “People of color have been instrumental since the beginning of spirits in America,” Muhammad said.